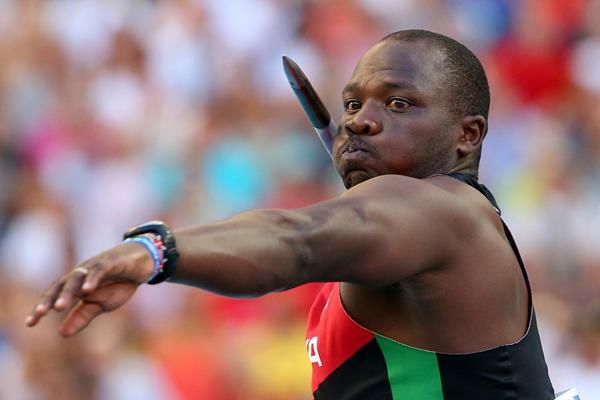 Kenya finished 3rd overall at the 2014 Africa Athletics championships behind overall winners South Africa and Nigeria. It was a creditable performance by Kenya considering that the distance runners were mostly the ones who ran in the Commonwealth games. But they were able to overcome the fatigue factor to win 7 gold medals. 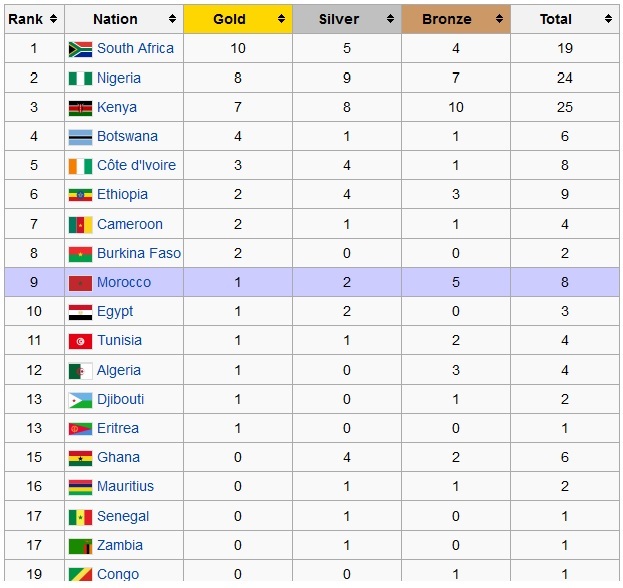 It was a slight regression from 2012 when Kenya were second and 2010 when Kenya as hosts finished atop the medal table. 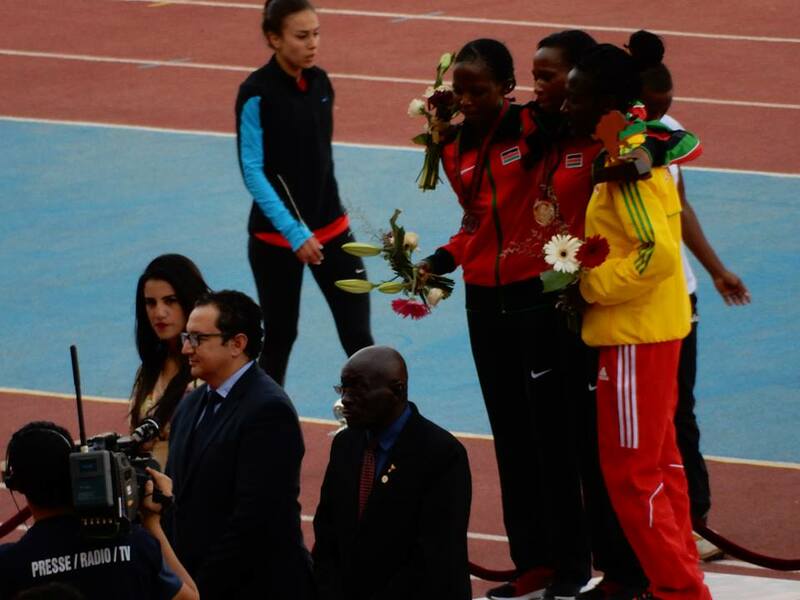 It also marked one of the rare occasions when Kenya women outshone their male counterparts with 4 gold medals against 3. Caleb Mwangangi Ndiku won his 3rd major title of the year 2014. He had World indoor champion and Commonwealth games and now he has added another African title to his collection, having won the 1500m two years ago. 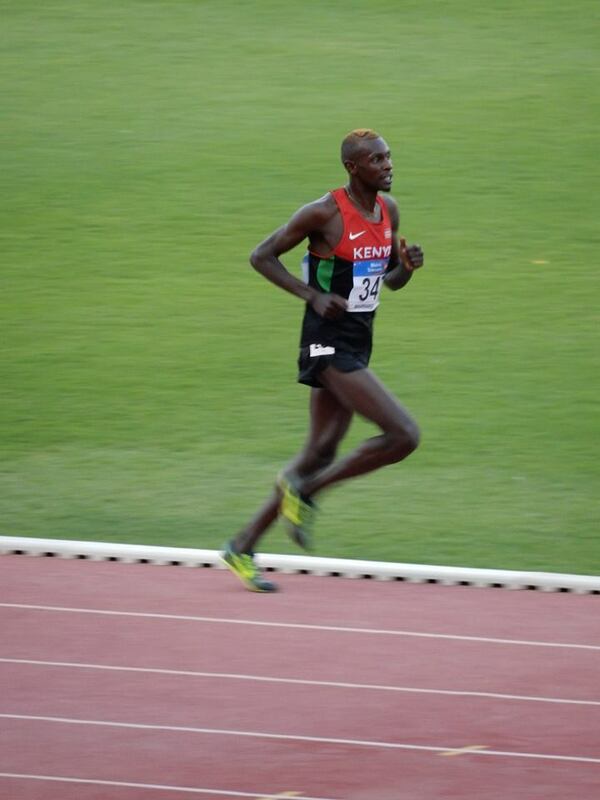 In Marrakech he won the 5000m by one-and-a-half seconds, crossing the line in 13:34.27 from team-mate Isiah Koech. Eritrea’s Abrar Osman, the 2012 world junior silver medallist, took the bronze medal. With Ndiku’s superlative form in 2014, he could be the man to challenge Mo Farah in the 2015 world athletics championships. Jairus Birech has been dominating this event throughout 2014, winning almost every Diamond league meet. It therefore came as a surprise when he was beaten by compatriot Jonathan Ndiku who surprised him with an early burst. This time Birech made sure of the gold. Ndiku was second and the legendary Ezekiel Kemboi who has dominated this event since 2004 won the bronze. 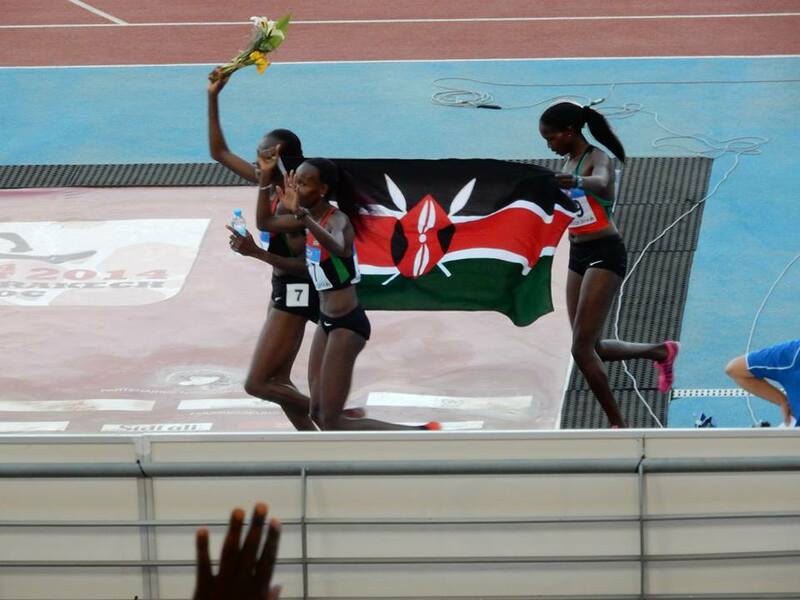 Eunice Sum led two other Kenyans, veteran Janeth Jepkosgei and Agatha Cheruto, all of whom ran under 2 minutes. It marked the first time that any country has swept this event in the 35 year history of the African championships. One never knows what to expect from Kenyan milers. 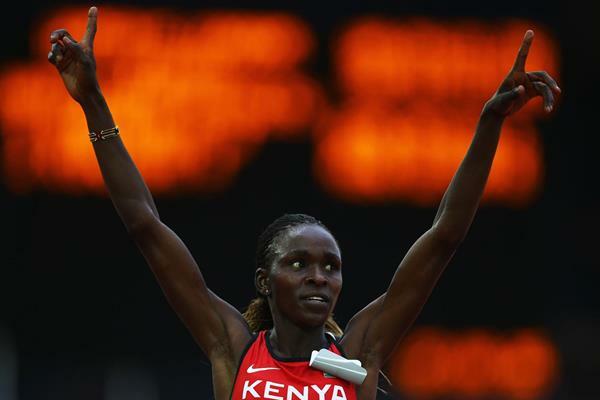 At the commonwealth games , it was Faith Kipyegon who won gold while Hellen Obiri faded to 6th. This time it was Obiri who won gold with Kipyegon fading to 5th place. Obiri, the world bronze medallist and 2012 world indoor champion won by almost one-and-a-half seconds from world junior champion Dawit Seyaum, 4:09.53 to 4:10.92. Obiri has had an up and down year, starting with sensational Diamond league wins in Doha and Oregon before fading badly towards mid season. Joyce Chepkirui who surprised all when she won the 10,000m at the Commonwealth games, repeated the feat again when she won the 10,000m in 32:45.27, which was only 0.01 seconds ahead of compatriot Emily Chebet. The third Kenyan Florence Kiplagat did not start or else it might have been another Kenyan clean sweep. African record-holder Grace Wanjiru Njue won her fifth African 20 km walk title in 1:37:04 . Njue 35, who also won a Commonwealth games bronze medal in 2010, finished ahead of Kenyan team-mate Emily Ngii (1:38.12). In third, Askala Tiksa set an Ethiopian record of 1:40:05. 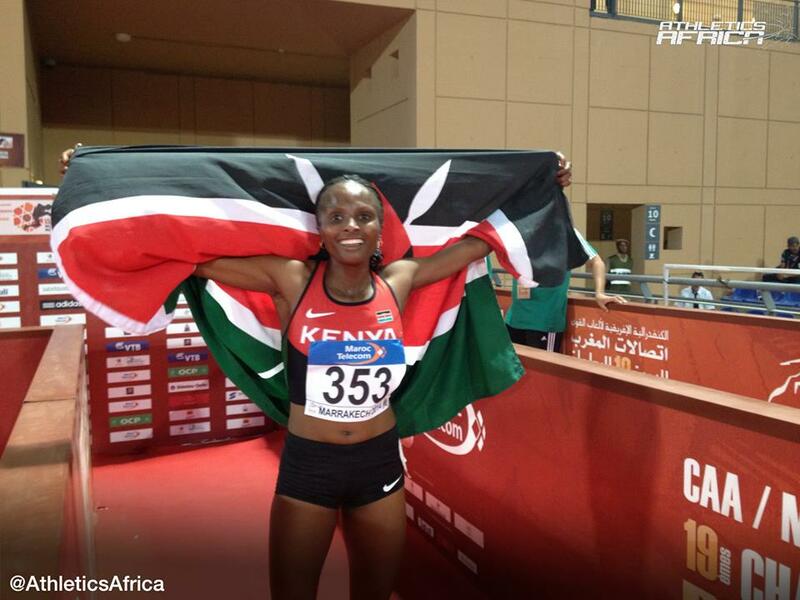 The amazing Njue has now been African champion in 2008, 2010, 2012 and 2014. Asbel Kiprop mis-timed his run and settled for silver in the 1500m. Ronald Kipkemboi took bronze. Samuel Kireri Gathimba took silver in the men’s 20km walk. 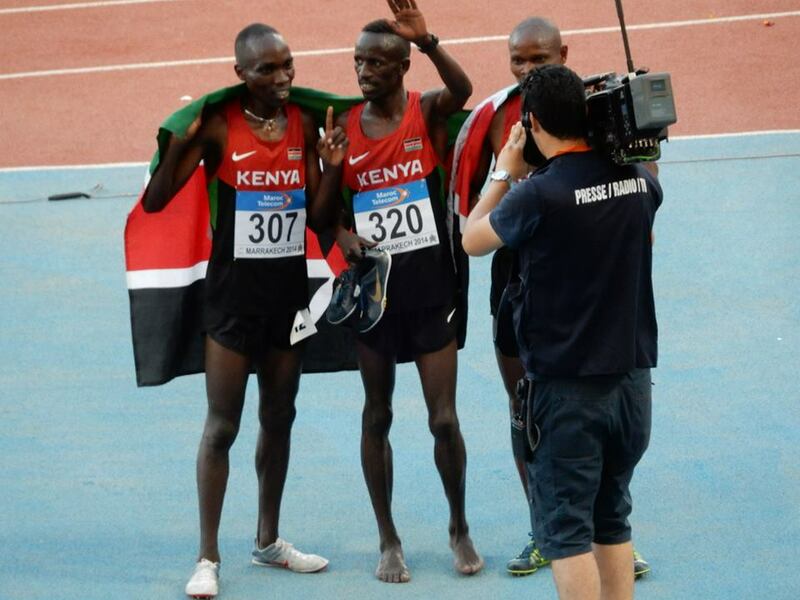 This entry was posted in Kenya Athletics News, Kenya Sports news and commentary and tagged caleb ndiku, Eunice Sum, jairus birech, joyce chepkirui, Joyce Njue, julius yego, Kenya 2014 Africa Athletics championships. Bookmark the permalink.